Corporate accounting is not usually the first thing the comes to mind when you think of disruptive technology, and for the most part, that’s a good thing. 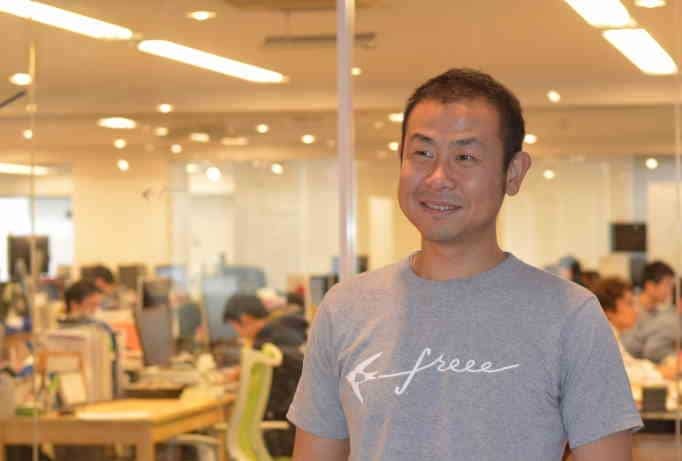 Daisuke Sasaki of Freee, however, is changing the way accounting is done in Japan from the bottom up. Bringing change to a conservative industry, however, is not easy. The fact is that in the accounting industry almost all users and stakeholders would rather muddle though with a painful system they know than try something new. Daisuke’s solution, of course, was to expand the market by growing the user-base. To go after new customers who have never used any of the existing accounting software products, and would be horrified by them if they tried. 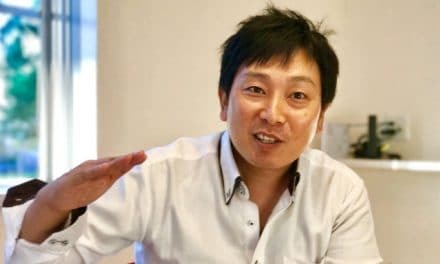 Daisuke also took the radical (for Japan) step of relying almost entirely on inbound sales, focusing on marketing and social media to generate demand and often simply refusing requests for sales calls. That strategy is paying off. Freee’s user base is booming and the incumbents are now scrambling to catch up. 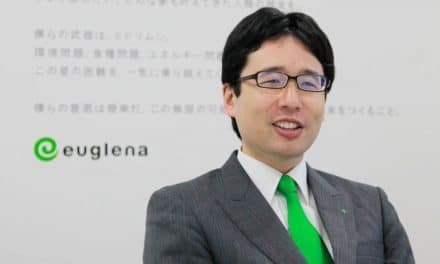 We also talk a lot about how Japanese industries are particularly susceptible to stagnation and technological dead ends, and what might be a huge change coming in the way Japanese companies run their HR department. It’s a great interview and I think you’ll enjoy it. Why Japanese HR got lazy and how to fix it. Welcome to Disrupting Japan. Straight talk for Japan’s most successful Entrepreneurs. I am Tim Romero and thanks for joining me. Today, we sit down with Daisuke Sasaki of Freee. One of the most innovative Accounting Start-ups in Japan. Now, innovative and Accounting are two words you usually don’t hear in the same sentence. When you do it is usually not a good thing. Freee is different. Free is disrupting a market that is ripe for disruption. That we spend a good amount of time discussing why it took so long to do it. It is a fascinating story about how regulation, industry ties and the customers themselves all can conspire to lock and industry into a steady state. Even when everyone knows the situation is bad and needs to change. Of course, we also talk about the secret to breaking through that deadlock. Now, Daisuke also hints that the disruption for HR might be next. I will let him tell you all about that. Let’s get right to the interview. Tim: Okay, I am sitting here with Daisuke Sasaki of Freee. Which is an Accounting Service aimed at SMEs, Small Medium Businesses. I guess it is sort of similar to Fresh Books in America. You can explain it much better than I can. Why don’t you tell us about Freee. Daisuke: Yeah, basically our product is Online Accounting Software that can automate your Bookkeeping or Accounting tasks. Then basically our product will ultimately sync with your bank account and credit card accounts. We import the bank statement or credit card statements from your bank account. We ultimately categorize them. All we have to do is just click to verify. Then you’re accounting will be done. It will streamline your Bookkeeping quite a lot. Tim: Right. I think to American-European listeners the integration with the bank accounts. The integration with the credit card companies is an obvious concept. Tim: What you are doing is really new in Japan wasn’t it? Daisuke: Yeah. Our product was the first one to do that actually. It sounds really obvious. Daisuke: People didn’t really do that before. Those are like all the Accounting Software before Freee required you to have Bookkeeping knowledge. It was really hard to use. It was designed more for Accountants or Bookkeepers and for Business Orders. Tim: Interesting. You said before you know the integration with the banks and the credit cards it is such an obvious thing. Tim: Why did it take so long? Why didn’t all of the Accounting Software Packages in Japan have this Bank Integration? Daisuke: Most Software Vendors were locked in by users. Other software has 30 years of history. For them just making a slight change will cause a lot of user complaints. Daisuke: Those users that complain have Accounting skills, good Bookkeeping skills. Tim: It just sounds like there was this tremendous momentum of just we have always done it this way. There is no reason to change. Which is just the perfect need for disruption. Daisuke: Yeah. For overseas listeners this might be too obvious, but before launching Freee I asked a lot of people. All of the feedback I got was hey we don’t really need it. We are happy with the existing Accounting Software. Then all you have to develop is something that helps me type faster for instance. Daisuke: I was like oh my you don’t have to type anymore. You just have to you know click the verify and then that is fantastic, right? Then they are like uh no, well you know there might be a reason. Blah, blah, blah, blah, blah, blah. Tim: Really? Just very risk averse. Tim: Well, the people have certainly taken to it. Well, tell me about your customers. Let’s talk about them. Daisuke: Now, we have 380,000 SMB Accounts. Tim: What do you users look like? Are they Freelancers? Are they Small Business? What is the breakdown. Who is using Freee? Daisuke: Yeah, mainly our customers are very Small Businesses. Less than 10 employees or something like that. Daisuke: Right now, 70 percent of our Accounts are Business Owners under Income Taxes. Tim: It is a lot of Freelancers. Tim: Thirty percent incorporated Small Medium Businesses. Tim: Excellent. The model is a Premium Model, right? Daisuke: Yeah. We take Premium Models. If you are Free Plan we store data only for month. Tim: Okay. Not so useful for Accounting Software. Daisuke: However, the thing is for Freelancers who do Accounting if you don’t have regular income for a business. If your number of business a year it is quite limited. It is quite popular for them to do Accounting only once a year. Tim: They put everything in for one month. Then they have to do their taxes. Tim: Okay. Well, and then maybe just issue invoices as needed. Daisuke: Mm-hmm. Yeah. Mostly invoices. Daisuke: For a limited time. Basically, we keep the Accounting part of the data only for one month. We keep all of the invoices so that they can still use it as Invoicing Software. Tim: Okay. Well, that makes sense. As they get more and more busy and get bigger they are already use to using the Freee Platform. Tim: Nice. When we talked before. Tim: You told me something I found very interesting. That your entire Sales Strategy is inbound. You don’t have guys in navy blue suits and ties going out to talk to customers in traditional Japanese style. Tim: Tell me a bit about that. How is that going? How have customers reacted? Daisuke: Yeah. I think we are the first B2B start-up in Japan. Everybody is in a t-shirt and shorts. Daisuke: We focus on Online Marketing. Get our potential customers to sign-up online. Tim: I have run several B2B companies here in Japan. There is tremendous pressure is not the right word. A tremendous desire from customers, potential customers to either come by the office, or to have you go out and do a presentation. Do you still get that and how do you deal with it? Daisuke: We actually don’t get so much request to actually visit the customer. Initially, we didn’t even have phone number. At that time, we got a lot of requests, having a chat on the phone. Usually, we didn’t even do that. Tim: Not even talking to prospects on the phone. Tim: Okay. That is kind of radical. Daisuke: Yeah. We were really focused on e-mail. Initially, we launched Chat Support. Daisuke: Chat Support, was quite well accepted. Tim: What was the logic behind that? Usually, start-up Founders will try to do anything to get those initial customers in and make them happy. What was your thought process that led you to decide no phone? Daisuke: Part of it is just because we didn’t have resources initially. Tim: That’s a good reason. Daisuke: Yeah. Initially, I was one of the Engineers actually working on the program, developing it. Two months after its launch we hired the first Customer Service guy. Also, the other reason is that initially we were quite focused on innovators. For instance, we supported only Google Chrome, and we didn’t support Internet Explorer. Daisuke: There was no way for less tech savvy people to use Freee. There was no way for them. Tim: Again, for overseas listeners might be surprised. Windows still is very powerful in Japan. Tim: Yeah. Especially on the business side, yeah. Daisuke: By not supporting Internet Explorer it is relatively easy to focus on tech savvy people. They are generally fine without any phone support or sales visits. Tim: That makes sense. The whole company was kind of everything was targeted to these tech savvy new companies. The early adapter types. Daisuke: Yeah. Japanese SMBs normally want actual customer meetings. Daisuke: The reason for that is that they need to trust in the company trying them to sell something to them. Daisuke: However, as long as trust is built then you don’t really have to send people. Tim: What are the things you did to build that trust online? What did you do to build that trust without the face-to-face meetings? Daisuke: One thing is growth. If you are driving growth then showing if you can successfully communicate that to the market. Then it is self-explanatory. That is one thing. Then also if a lot of users are using it you may hear about it from your friends. Then it is easier to get trust. Thirdly, we are Accounting Software. It is also important to engage Tax Advisers. For them, we do face-to-face conversations. We invite them to our office. We have seminars here. Then we have face-to-face conversations. We still keep a scalable way. Tim: Right. You save the face-to-face meetings more for Tax Advisers or Channel Partners. Daisuke: For them it is more like inbound because in more cases End Users get interested in Freee. They ask about Freee to Tax Advisers. Daisuke: That is how a lot of Tax Advisers are willing to visit our office. Tim: Are these very conservative Tax Advisers sometimes surprised to come here and find this Accounting Software Company is being run by a bunch of guys in t-shirts? Daisuke: Yeah. They get very surprised. Tim: They must be happy with it. Daisuke: Yeah, it is a new experience. Then actually a lot of Tax Advisers are kind of tired of industry not changing for a long time. Tim: Hmm. Well, actually there are not a lot of new things that happen in Accounting. Tim: Which is probably good really. Daisuke: Yeah, it is good to witness that. Because we are still in very early stage. Tim: Actually talking about the early days. You mentioned you were programming this. Tim: You raised funds pretty early. I mean you started in a very stealth mode. Tim: You raised funds much sooner than most companies do. Tim: You didn’t go the incubator route. You didn’t really do the boot strapping route. Daisuke: Well, basically I kind of boot strapped my company. Daisuke: July 2012, we found the company. Then we first did our first fund raising round in December. Our plan was to do a product launch by boot strapping. That when we were working on product development we got approached from Venture Capitalist. Then I kind of changed my mind. Okay, it might be better to do fund raising before product launch so that I can do better product launch. Daisuke: Raising Marketing Materials. We did Press Events. Also, we can add some trust to the product by saying hey this is also backed by venture capital. Tim: At that point, the investors were really just investing in you and the rest of the team, and a good idea. Daisuke: Yeah. It was really a Team Event. Tim: The fact that it was founded by 3 Technical People. Tim: Makes me less surprised that you didn’t support Windows. Daisuke: Yeah. We are really you know Development Oriented. Tim: This is something interesting because even in America. Tim: You can go to almost any high-tech company. Tim: You know when you walk in through engineering you will see the little Apple Logo glowing on the back of laptops. Tim: If you walk to the back into Accounting. That does seem to be the last bastion of unconquerable Windows dominated territory. Tim: Why do you think that is? Do you think it is just that inertia? Do you think it is a like of powerful Accounting Apps on Mac? Daisuke: Yeah. I think the latter one. Before Freee there was no Accounting Software supporting Mac. Daisuke: When you start a business. If you start to work with Tax Advisers. The first advice you would get. Hey, by a Windows machine. Daisuke: There is no other way in the past. In that time, there was no choice for Accountants to buy Mac. Well, some of them actually have Mac. They also have to have Windows. Daisuke: That was history. Somebody needed to change. Tim: Right, right. Well, somebody has got to be first. Daisuke: Yeah, somebody has got to be first. Tim: Instead of moving to the Mac, you are moving to the Cloud. Tim: Even moving to the Cloud are Japanese companies hesitant to put their Accounting data on the Cloud? Daisuke: SMBs don’t have much preference I think. Daisuke: There are two stories. First of all, after the earthquake all of the Japanese companies are more interested in the Cloud. What it means throughout — because they understand the area. Tim: They have learned to back-up, stability and accessibility. Daisuke: Yeah. Physical Storage has a huge risk. From my point of view that is true for the companies who have IT Departments. They have that kind of mindset. Of course, Small Business Owners in their personal life. They use Google. They use G-mail. Cloud is natural choice. Daisuke: I guess. Kind of the misunderstanding small businesses is like when somebody mentions B2B Business. They always think about businesses with IT Department. Of course, if you have 100 employees or like 300 employees. Those companies will have IT people I would say. Then they are still categorized as SMBs. Tim: A lot of those IT people are fighting to protect their territory. Tim: The 20 servers that they are in charge of. Daisuke: The businesses who don’t have IT people, completely different. When I think about SMBs, I really look at that segment. Then the most important thing for company is Business Owners. Tim: Yeah. Actually, when you think of it Accounting Software has always been kind of on the cutting edge of computer use. Like VisiCalc and Peachtree. Tim: Were some of the very first Commercial Software Products ever. Tim: What took so long for people to realize that this model of having the Accounting in the Cloud made sense for Japan? Daisuke: That is an interesting question. When I was 10-years-old my father bought a personal computer. He also bought two software. One was a game and the other was Accounting Software. Then imagine how game evolved since then. It is completely different. Daisuke: The game at the time was 20 Floppy Disks. Each time you hit a certain event. You have to change the disks. Tim: I remember the disk swapping tango. Just in and out, in and out. Daisuke: Yeah, that’s stupid. Accounting Software still the same. Daisuke: That was really a program. I think one other reason especially in this market is risk-averse nature. Also, it is a Supplier Site Program. They listen to customer’s voice too much. It is important to you know listen to feedback. It is also important to understand what the problem is of this customer. Daisuke: If you just completely follow what customers say you can never introduce innovation. Tim: Yeah. That’s true. If you only listen to customers you end up with lots and lots of small improvements. Tim: Twenty thousand features and a very hard to use interface. Tim: Actually, pretty much describes most Japanese Accounting Software. Daisuke: Yeah, exactly. It is all about incremental improvement. The other thing is actually the leading Accounting Software Company has been owned by private equity fund for a long time. They did a LBO. Daisuke: All of the money that was earned was spent on returning the loan to buy that company..
Tim: Okay. There was not a whole lot of money for innovation. Daisuke: Yeah. I still think that the first risk-averse nature is still strong in Japan. For instance, I worked for Google. At that time, it is really difficult to convince the internal people to say hey this worked in the U.S. This must be working in Japan too. We should both really do that. All the people would say hey Japan is different. We aren’t even thinking. Tim: The story of my life. I have brought foreign companies into Japan. Tell me about your Japanese customers. Daisuke: Yeah, it always happens. People without launching a new program. Every time somebody tried to import something Japanese people are going to be quite against that. Tim: Have you seen the large Accounting Software Companies reacting to Freee? Are they now trying to incorporate that into their own product line? Daisuke: Yes. Now, traditional companies also launched Cloud with their products. They tried to take our flavor of our product too. After our task. The fundamental difference from the traditional Accounting Software.Traditional accounting Software had a dual entry Bookkeeping interface. Daisuke: What we have is a much simpler one. These two are kind of incompatible. It is not possible to completely clone our product. Tim: What they are putting up on the Cloud. Is it more than just a Cloud enabled version of their existing software? Daisuke: A little bit more user friendly. Tim: That is interesting. With the latest big investments now. Tim: What is next for Freee? So far you have been focusing on that SMEs. Tim: You have done a lot of integrations. Not only with banks, but I think like a point of sale system as well, right? For small shops. Are you planning on moving. Using the money to challenge the larger companies, becoming more enterprise friendly? Are you going to be moving horizontally? I know you have talked about receipt management. Tim: What is coming next? Daisuke: Yeah. What is coming next is Apparel Product. We launched Apparel Product last year. It has been growing really fast. The key milestone for our Apparel Product is by beginning of next year. What is going to happen by the beginning of next year introduction of Social Security Number System by Japanese Government. Daisuke: Which is called “My Number”. What that means to Japanese small business is businesses have to manage the “My Number”. That means all of the businesses have to upgrade or replace the Payroll Software. There will be a huge growth potential for us happening in the beginning of next year. To maximize that potential. We are adding more sales people and marketing people. Also, we are trying to reinforce our Development team. That is what we do. Daisuke: Actually right now we have a Sales Team as opposed to what I said. That’s because right now we also do phone sales. Tim: Okay. You are doing more outbound. Daisuke: Not really outbound because it is more like customers create an account and we just set-up with them with pre-plan use. Daisuke: Then try to convert into paying customers. It is actually interesting because we get like so much thank you from our customers. After our Sales Reps talk to them. Because they understand. Daisuke: How their Accounting Tasks will be easier and they understand how to use it much more. It is quite different from the traditional sales process. It is sales, they have to have what they have. Tim: Right. There is no immediate plans to hire a traditional sales force and go sell to enterprise just yet. Daisuke: Not yet, not yet. Our target is up to 100 users. Daisuke: If we think about the current users most of customers are businesses less than 10 employees. With items likely larger companies. Tim: Let’s shift gears for a little bit. Talk about start-ups in Japan in general. Tim: Because you have been involved in well a few of them now. What is the most common mistake that you see Japanese start-up Founders making? Daisuke: Japanese tend to listen to customer too much. I think that is one of the pitfalls for a lot of Japanese Entrepreneurs. People will say that hey like you should listen to customer, you should get the feedback of your beta users. Of course, like if you present something new. You have to discount what those testers would say. Daisuke: When they listen to feedback they started saying oh yeah. I have got a feedback. They just …. Tim: Do you think they lose track of their own vision? Daisuke: Yeah. Lose track of their own vision. That is one thing. The other thing is that it is not really to become the safe, I would say opportunity. There are so many enterprise set-ups. Tim: When you say enterprise start-ups, do you mean companies selling goods and services to enterprises? Daisuke: There aren’t many B2B start-ups. Recently a lot of Japanese set-ups the entrepreneurs are quite young. They are fresh out of college. They don’t really know what are the challenges for SMB orders? What the pay is? Daisuke: People working in big companies have pains. What is the pay for business owners? Tim: Most successful Founders are solving either their own problems, or problems they see around them, right? Tim: Which is probably why we see so many Dating Apps and Food Sharing Apps. Daisuke: Yeah exactly, exactly. I mean still I see a lot of early-stage entrepreneurs. They come to me with the idea of Dating App, Food App. Tim: Now, you yourself didn’t make either of those two mistakes. If you could go back a couple of years to when you were just starting Freee. Tim: What advice would you give to yourself? Daisuke: Well, I think how to build an organization. In our company we share all of the meeting notes. We try to be transparent as much as possible. We always talk about our mission and the values. That is quite different from 2012 Japanese Companies. Daisuke: Even set-ups don’t do that. I think it is because in Japan people don’t quit the company, right. Because of that nature. HR Skills didn’t really evolve here. You know in the 1980s or 1990s Japanese companies did really good. Because Japanese personality really fit with Manufacturing Industry. Tim: That’s an interesting point. I mean because okay there is not lifetime employment anymore. Tim: HR basically did get lazy. Tim: They had the employees stay with them, yet they recruited. They got use to recruiting hundreds or even thousands of employees fresh out of school. Tim: They put them through the same training course. Daisuke: Yeah. They didn’t do anything. Tim: Yeah. That’s right. I guess they are really being challenged now that they have to learn skills of retention. Daisuke: Like I observed that Google invests in this kind of things in people. Tim: Google has some fantastic things for the employees. What sort of things have you done here at Freee that were inspired by Google? Daisuke: We do a lot of one-on-ones like everybody understands that in one sense they are adding the value. They set the goal by themselves. The organically try to contribute to the plan. Tim: Wow, you are hitting two of the most important things right away. If people feel like they are in control of what they are working on and they understand why what they are working on has meaning to everyone else. Tim: That is two of the most important things you can give an employee. Daisuke: Yeah, yeah, yeah. We also have all hands frequently. We have a culture asking a lot of questions. Tim: It’s very open and transparent. Daisuke: Yeah. I think that is important. Like in Japanese companies, even the company sizes of just 3,000 employees. When I worked for that company I have never seen the CEO in my 2 year experience. Daisuke: I didn’t have any opportunities to see that person even from 100 meters away. Tim: It is. Yeah, Japan it is run like a literal kingdoms. Daisuke: Mm-hmm. Yeah, exactly. Exactly. Tim: Let me ask you this then. If you could change anything. If I gave you a magic wand. Tim: Said you can change anything you want about Japan to make it better for Entrepreneurs. Tim: What would you change? Tim: You can do two if you want. Daisuke: . I have two ideas. The first idea to figure out how I can do it is very hard. That one is –. Tim: It’s a magic wand. You don’t have to worry about how you get it done. Tim: You mean just in start-ups or for business in general. Daisuke: In general. In general. Daisuke: The reason here. When I talk with people who are potentially interested in starting their own business or even changing the job to move to a start-up. One of the key bottle neck is their family. Because most of the time their wives are housewives. Tim: Yeah. A lot of the Founders who have been on this show have had stories of how they have had to negotiate with their wife. Tim: Even worse their wife’s parents. Tim: About starting another company and how risky it is. Daisuke: Yeah, exactly. Exactly. For instance, if you are wife is Sheryl Sandberg what are you going to do? Tim: Not to worried about taking a risk. Financial risk of starting a company. Daisuke: Yeah, exactly, exactly. If your wife is just Director At Google. Then you …. Tim: That makes sense. Having two incomes removes a whole lot of that financial risk, right? Daisuke: Yeah. You have that kind of person in your family then you can take more risks. Tim: That makes sense though. That does. Okay, excellent. Daisuke: I don’t know how I can do it. Tim: Like I said, it is a magic wand. We don’t have to worry about it. What is the other thing you would change? Daisuke: The other thing is instead of lifetime employment at the Governmental staff. Tim: Okay. Why would that be good for start-ups? Daisuke: Because for high school students in Japan. A most popular job is becoming governmental staff. Tim: Sure, very stable. Pays well. Daisuke: Yeah. If kind of the last resort is killed, what’s going to happen? Tim: That’s true. That is the last little bastion of lifetime employment in Japan. Companies don’t do it anymore and it is just the Government. Daisuke: Yeah. You know Lawyer. There are so many Lawyers. It is already competitive there. Accountants, its also competitive. There is no, you have to really work on your skills. You have to take risks. Daisuke: Government officials have everything. Tim: You want to have more women in business and end of lifetime employment for Government Employees. Daisuke: Yes. That would be good. Yeah. Tim: Listen, this has been a great discussion. I have no idea how I am going to edit this down to 30 minutes. Tim: Before we wrap up is there anything you want to tell our listeners? Daisuke: There is one thing interesting. With SaaS business, the toughest part of business is really in the beginning. The toughest part is you don’t find public companies that are focused on SaaS business. Daisuke: Yet. That is why for Sales Companies to raise funds has been a bit difficult in Japan. Because you don’t really have a benchmark company in the market. Tim: There is a few. Like SalesForce is the obvious example right now. Daisuke: They are not listed in Japan. Japanese Venture Capitalist don’t look at the Foreign Stock Exchange. Daisuke: They benchmark only the Tokyo Stock Exchange. If you are in the U.S. Oh this is SaaS and SaaS company has this valuation and this formula. Tim: Sure. There is a long list of it in America. Daisuke: Yeah. They are a really good way of Benchmarking the company already. In Japan, it doesn’t still exist. Tim: You think we will be seeing more of them soon? Daisuke: Yeah, that’s what I am trying to do. Daisuke: I want to really pioneer in that area to really change the market conception and what is possible. Yeah, that is what I want to do. Tim: Well, fantastic. I will look forward to that. Tim: Thanks for sitting down with me. This has been great. Daisuke: It’s been great. Thank you very much. Daisuke: It’s a touch interview thought, but it’s fun. We are back. I think Daisuke hit on one of the most challenging parts of Disruptive Innovation, and why so many Japanese Companies find it challenging to bring disruptive technologies to Market today. The fact is existing users don’t want to be disrupted. They want minor sustaining improvements that don’t require them to change the way they approach their problems. 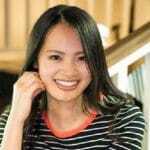 The fact that Japanese Start-up Founders often find it very hard to say no to customer requests makes it even more likely that they will abandon their own disruptive vision, and embrace the path of many small incremental improvements. Will Freee continue to focus on the new and fertile Market of SME Accounting, or will they start to move upstream and truly disrupt the Enterprise Market and take on the major players head-on? Well, we will have to wait and see. Either way we will be hearing a lot more about Freee in the future. If you have got a story about trying to sell SaaS Services to the Enterprise, Accounting or otherwise. We would love to hear it. Come by DisruptingJapan.com/Show030 and let us know what you think. When you drop by you will find all of the links and sites that Daisuke and I talked about and much, much more in the Resources Section of the post. Most of all, thanks for listening. Thank you for letting people interested in Japanese Start-ups know about the show. I am Tim Romero, and thanks for listening to Disrupting Japan. Thanks for great interview. Not only this one but all the contents in this cite are precious assets for us. 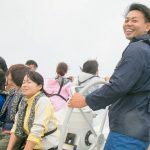 Daisuke’s two ideas, making housewives employed and ending lifetime employments of government workers, are really innovative for promoting start-ups. The latter is actually taken in one country at least. My friends working for the Singaporean government were saying that they had to find new jobs or stat up their own ventures for their approaching official retire age of 40.